India is the second most populated country in the world. Thus, a mine for data analysts to research, collect and analyse data. Researchers in India are an active breed, name any upcoming field under the sun and you will find research going on in that field already! Even though researchers in astrophysics, material sciences, cognitive sciences, energy, biology, statistics, earth and atmospheric observation, bioinformatics, biotechnology, nanotechnology and many others generate a lot of data, they require advance algorithms, visualization techniques, data streaming methodologies and analytics for further development. Understand the current scenario in terms of market size, different players, SWOT, etc. Evolve a strategic roadmap, defining the role of various stakeholders – government, industry and academia with timelines. Talking about the Big Data initiative will not be rendered complete without the mention of BJP’s Election campaign in 2014. It was one of the most data-savvy campaigns that any country has witnessed in recent times. The IT cell of “Elect Modi Campaign” virtually connected with about 144 million people across India through Facebook, Twitter and Google plus. BJP partnered with IT and analytics firms, such as SAP, Oracle, InMobi, and PwC to get real-time updates and analysis during the elections which enabled them to react faster to any controversies in real time. Further, to drive their campaign, they planted cookies on all computers that visited the BJP website. They then extracted information about their visitors’ further internet activity, for customized advertisements. BJP had proposed to set up an Institute of Big Data and Analytics for studying the impact of Big Data across sectors for predictive science with a focus on India-specific problems, enabling businesses to invest in a wide range of issues such as national security, processing data from different languages, disseminating data to farmers about production, prices, etc. Additionally, the Modi Government has developed various digital platforms and launched many initiatives such as MyGov, DigiLocker, Digital India, National Scholarship portal, Aadhar card, Jan Dhan Yojna to connect with the citizens through websites, mobiles and smartphones and encourage citizens to be a part of discussions, suggestions and volunteering for various causes. Some of these portals, such as MyGov also keep them updated on the status of their suggestions. Also, as a part of the “Digital India” program, common Biometric Attendance System is implemented in the government offices to collect data on the attendance of the employees. Another example of the support of analytics is shown by the Department of Science and Technology that initiated a programme to promote Big Data Science, Technology and Applications for fostering research. They grant financial support for R&D Projects, national level Conferences/ workshops/ Seminars and for the establishment of Center for Excellence in Big Data Analytics, Predictive technologies, Cyber Security etc. The latest to join the analytics sector is the National Payments Corporation of India with the launch of a unified payment interface that allows customers to send and receive money through smart phones WITHOUT revealing their bank account details. Transactions can be done through Aadhaar number, mobile number or virtual payment address. Further, organisations such as Swaniti and FourthLion are also playing an important role. 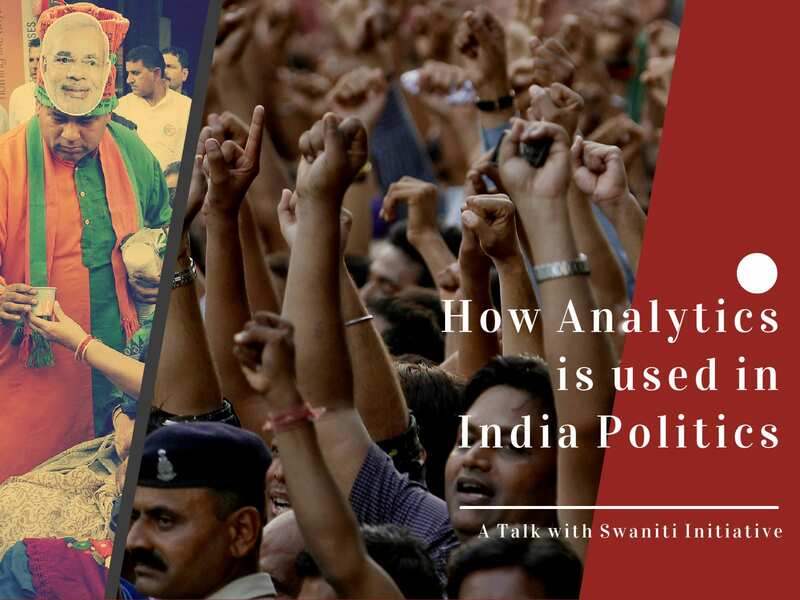 While Swaniti works with politicians by focusing on data collection and analysis, creating data dashboards and synthesizing solutions to problems at grassroot levels; FourthLion’s expertise lies in understanding how national electorates behave through InstaVaani, their quick polling tool. 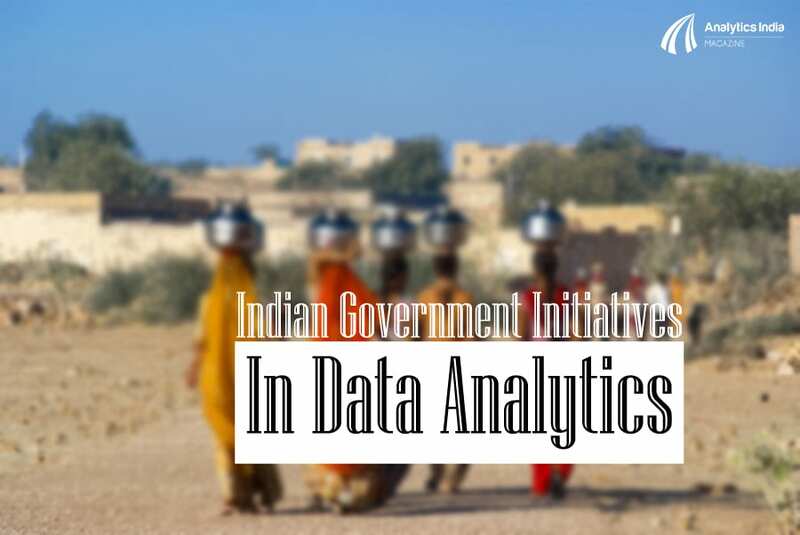 They may have different approaches, but both the organisations focus on analytics, building and adopting the latest technologies to provide strategies for the Indian political leaders and environment. Even though these initiatives are encouraging, but the infrastructural bottlenecks may prove to be problematic in implementing these on ground level. However, intelligent data is the way forward and now that we have taken the first step it won’t be long before we are up and ahead in the game!